Andrea Gibson: Andrea Gibson is not gentle with their truths. 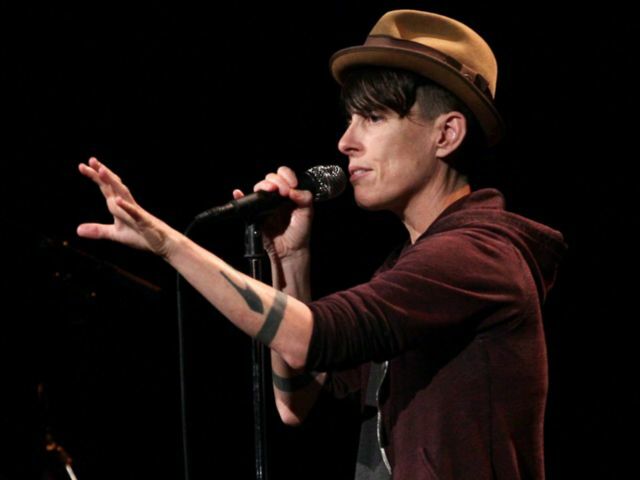 It is this raw fearlessness that has led them to the forefront of the spoken word movement -- the first winner of the Women's World Poetry Slam -- Gibson has headlined prestigious performance venues coast to coast with powerful readings on war, class, gender, bullying, white privilege, sexuality, love, and spirituality. Ashlee Haze: Ashlee Haze is a poet and spoken word artist from Atlanta by way of Chicago. Earning the nickname “Big 30" because of her consistency in getting a perfect score, she is one of the most accomplished poets in the sport of poetry slam. She has been a part of the Atlanta Poetry circuit for over a decade and has been writing over 15 years. Ashlee Haze was the most booked artist at the 2017 NACA Nationals Conference recently completed a 100+ city college tour. She is a 2-time Women of the World Poetry Slam Finalist and 2- time National Poetry Slam semi-finalist.